Quality work. Friendly. Guaranteed. Easy drop off and scheduling. I moved and it's out of the way but Rich doesn't charge for stuff you don't need so I keep going back. Rich took the time to research the issue with my Lincoln and the repair was done effectively and at a fair price. I have always had a positive experience. They never overcharge and over complicate the work. Definitely recommend. The guys at Eagle do a great job explaining what has to be done and give you a heads up of items you may want to consider. Unlike a lot of places they don't just dump you with the manufacturer recommendations, but actually look at the condition of your car and tell you what you really need. We are extremely satisfied with Eagle Automotive and would recommend to everyone. Rich is extremely knowledgeable and always available to answer questions, give expert advice and correct any mechanical problem you have. You can always depend on a perfect job. You can also always expect very honest service and pricing. They also are extremely dependable and right there in an emergency as well. Give them a try, you will not regret it. For fifteen years, I've been having my vehicles routinely maintained near where I work. Although I always gave them the owners manual maintenance checklist for the appropriate mileage interval, I never got a report of exactly which things were actually checked and which may not have been. I trusted them, but now that I've retired and in Plover I needed a closer place. Rich and his staff checked things AND gave a full written report back to me. Never got that before. They are very thorough, even finding a left license plate bulb that was burned and questioning whether my "streaky" wipers might not need replacing. As I said very thorough and went way beyond my expectations as well as my experience with other shops. Thanks. I had brake problems and suspension problems. Brakes pulsated and suspension became mushy. The people at Eagle Automotive did a complete brake job on all four wheels, and installed new struts and shocks. What a difference! No more pulsating brakes, and now I can drive through a driveway without my suspension bottoming out. Rich also did a very good job of explaining my problems. I would recommend him to to others! I've been taking my vehicle to Eagle Automotive for about 2 years now. Rich is professional, but very friendly. He is committed in taking the best care of his customer's vehicles and with his years of experience you know you are getting the best. Your safety is his first priority!! You can totally trust him. Rich Levin the owner of eagle automotive as been consistently good in repairing my van. My brake light on and my brake pedal would move all the way to the floor. I had braking failure. He is prompt at analyzing the problem or any car issues I've had. In this most recent episode he had me leave my car and said he'd fit in that day which was truthfully unexpected but not surprising at the same time from Rich and Eagle. He didn't want me driving the van the way it was because of safety for myself and others. I believe it was my brake line that rusted out causing the problem. I went for a long walk and picked up some stuff (some mouse traps too) and by the time I had gotten back the van was done. I believe I was charged fairly and I felt treated well. Rich is articulate in explaining what he did, showed me the rusty beaten up line he replaced. His mechanic is pleasant, skilled and helpful to. Rich takes the time to explain what the van may need in the future. He is not pushy with this. He wants to educate me and other about their vehicle maintenance. He does the work as needed to keep my van going. I watched him with a young man discussing the maintenance of the guys car, what he did and what may be needed later. He knows my goal is to get 200-300 thousand miles on this van. I have over 150,000 now.. Although the van is starting to rust that's okay as long it is in meticulously maintained by Eagle. We have a good relationship. I truly don't shop around for a better deal because I know for my need he's the best. I don't believe one would be disappointed with their future experience with Eagle and Rich. They are skilled, fair, kind, courteous and delivers to me a consistent service - as I believe they will to you.. Yes I would have friends and family go there.. Enjoy your experience there. I am picky and expect a lot and Rich and Eagle deliver time and time again! I have been taking my vehicles to Rich at Eagle Automotive for years. You can tell that Rich is a people person.... always willing to explain and educate his customers. He always put fourth your options, tries to work with your schedule and and he truly cares about your happiness with his service (note the "your" aspect.... many autocare places often care about "their options). Work is always completed in reasonable time and also of high quality. If something isn't right after your service, Rich will go the extra mile to figure it out or make it right! If they can't get it done at Eagle Automotive, Rich even helps guide your next steps. Yes, I'm pumping Rich and Eagle Automotive but they deserve it. If your not happy with your current mechanic, give Eagle a try! Engine replacement We had to have a rebuilt engine put in. They had our car fixed in under a week. Very happy with the service. When I brought my vehicle in, I was asked several questions about the problem I was experiencing. In a few minutes, Rich had a better understanding of what may be the problem. He diagnosed the problem, checked different places for the part needed and kept me informed at all times of what was occurring. What seemed to be a very short time, I was called at home and told my vehicle was ready to be picked up. I was very happy with the work that was done and glad that Eagle was so thorough. I would recommend Eagle Automotive to anyone who needs work done on their vehicle. I was treated as though I was the only one that mattered. But I know, everyone that goes to Eagle matters just as much. Very happy After having multiple issues with another mechanic, i was very happy i called. Richard was very professional and made me feel confident that he knew what he was doing. Unfortunately it's hard to find a mechanic that is truly trustworthy, but I finally found one! Told me what they were going to do and did it. Was spot on with the estimate went the extra mile to get the manufacturer to cover some of the part under warrantee! Thanks! Great place! We take all three of our vehicles here for the customer service and quality of work. We had truck engine problems while out of state. Called back to the service garage for help and understanding if the vehicle was safe to drive or not. They ordered the part in before we got back to Plover and had already set up an appointment for it to be serviced when we returned. Great customer service at the shop or on the phone. These folks treat customers with great respect and want you to be a part of their family business and get to you know and what you do with your vehicles so they are serviced correctly for the wear and tear you put on your vehicle. Very Friendly, Fast Service, Great Price My car's power steering died so I decided to go EA based on a recommendation from a friend. Right away when I walked in Rich was extremely friendly and helpful and once they figured out what was wrong with my car they shifted a few things around in the schedule in order to get my car fixed right that day so I could have it for the weekend. The guys got it done super quick and I couldn't be more happy! One of the best places to get your vehicle serviced. Richard and his employees are great! 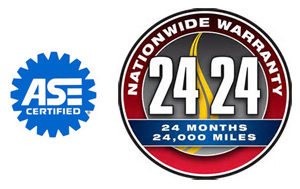 A great place to get your vehicle serviced by honest and trustworthy people. Thanks! You did a great job. You got me an appointment quick and got my car done earlier than expected. Your the only mechanic I will use. Always great service, fair pricing, and nationwide warranties are great!! Sprinter Technology Services: We've gotten a lot of work done by Rich, always a GREAT job! Would and do recommend you all to anyone! A place you can trust to fix what is wrong with your car when it is needed. Explains and shows you the problem before fixing. I have recommended this place to everyone I know. Trustworthy people, Care about making your car right and safe not trying to rip you off. The crew at Eagle automotive have been very helpful and curtious. Usually have our vehicles back the next day when scheduled in advance. We dropped off a vehicle one evening after a breakdown over the weekend and the car was finished the next day. Fully professional, courteous, on-time. A great choice in vehicle maintenance. I had a hub going out so I thought I would stop by the shop and see if they had any time to fix it. Not only did they put the truck right on the rack they had it done in under an hour! Great shop with great mechanics. Great all around care and service! Richard and crew always do an excellent job. They always explain the issues well and are honest in their recommendations and do not push extra services or parts. The service I received was very professional and timely and my vehicle was done before I knew it. I will recommend Eagle Automotive to my friends and family. They tell me the straight story and give me options. I like that. We always enjoy bringing our vehicles here. Great customer service, detailed explanations of what is wrong with your vehicle, and we have never felt overcharged or that anything has been repaired that does not need to be repaired. I have been there a few times and every time they did a Great Job getting my 1997 Chevrolet on the road again. They always try to fit you in and they get the work done in a timely manner. The last time I was there they tried to resolve a Engine Stalling Issue that they could not reproduce in shop. They worked on it all day, but did not charge me anything since they were not able to have it fail as it did for me. That was a nice surprise and appreciated it a lot. The old truck is gone now, but I will for sure take my newer 2003 Chevrolet there for service! Thanks Rich! Very good work for a reasonable price! I don't know what else to say! Eagle Automotive has been taking care of our vehicles for over 10 years and every one of them has over 225,000 miles - and the cost per day of ownership has been less than $1 !! We took one of our mini vans in for not starting and Richard called to tell us it is time to stop fixing this one. He said he could get it running again for around $400 but within the next 2-3 months it was going to cost us another $900 in other repairs. He recommended that we stop fixing and look for a different vehicle ( this one has 310,000 miles) Well, it is finally time to retire this mini van but I have to wonder - He could have made $400 this time and $300 every month for the next 3 months in repairs. To me this shows the amount of honesty and integrity that he lives by. We have always recommended him to our friends - but this goes above and beyond what we would have expected!! I've been going to Eagle Automotive for 3 years now and have to say Rich is a very honest mechanic. If you are having a repair done on your car and don't know what the part is they'll spend the time and explain how the part works. We've gotten a lot of work done by Rich, always a GREAT job! Would and do recommend you all to anyone! Our "extended" family has over 20 vehicles and we have been taking them to RIch at Eagle Automotive for years. Quality services, fair pricing and nationwide warranties are hard to beat! Excellent quotes, competitive $$, exceptional service, knowledgeable, and they want you to return! Referred by local tow service; we were thinking of towing to the dealership just to save on labor costs. Other local automotive shops were quoting at least $300 more than his estimate. We had an idea what was wrong with my husband's vehicle to... (More) Referred by local tow service; we were thinking of towing to the dealership just to save on labor costs. Other local automotive shops were quoting at least $300 more than his estimate. We had an idea what was wrong with my husband's vehicle to question price, time frames, and options with the repair, but Rich assisted me with his timely return with information, and then assured me that they would make sure that truly was the problem. He also provided my husband with a ride home and worked late on a Friday to get my husband's vehicle back to him. So knowledgeable with our vehicle make/model that Rich was able to suggest preventative maintenance for our vehicle to avoid another pricey repair. When we picked up our vehicle they offered future discounts; makes it a no-brainer to use them in the future with all our vehicle's maintenance and repairs. Wish we would have known this automotive team prior to purchasing used vehicle to possibly make a more informed purchase! Notably good service experience We have a very extended family and we all take our vehicles to Rich at Eagle Automotive. All together, I would say we have over 20 vehciles and he is the only one that works on them Was this Review helpful to you? Notably good service experience We were from out of town and were expecting the worse when our transmission went out on our 99 Blazer. The tow truck driver told us to take it Eagle Automotive for the best service and most honest pricing. We left the vehicle there on a Sunday and... (More) We were from out of town and were expecting the worse when our transmission went out on our 99 Blazer. The tow truck driver told us to take it Eagle Automotive for the best service and most honest pricing. We left the vehicle there on a Sunday and went home-- 4 hours away -- Rich called us at 9:30 the next morning and gave us the estimate. Then he told us he would not let us authorize the repairs until we had called 3 other shops in our local town and got estimates from them. We were pleasantly surprised to find that he was right in line with them and we even called another repair shop in Plover for an estimate and they were $300 higher. Very nice to deal with on the phone, faxed us an estimate to sign, came in on Sunday to deliver the vehicle to us and even came in $30 less than the estimate he faxed us. He had us up in running in 1 week! And the warranty on our transmission is good Nationwide!! We wish he was here in Illinois with us!! Rich and his crew are excellent. They are very customer orientated. They always do a full car inspection when you have service done and give you a print out of repairs that are either required or needed. They explain why the repairs are needed and let you know which are "Critical" repairs or repairs that can wait. Price is very fair.